The article was originally published on Thethirdpole.net on 7th February 2018 and has also appeared in Chinadialogue. For countries that share great rivers, reaching a satisfactory agreement on water allocation and quality control has always posed a political challenge, including in Asia. In recent history, disagreements have even led to violence or military action. Kazakhstan and China, which share the Ili and Irtysh rivers, also face the challenge of reaching an agreement on water use. New research by the Chinese Academy of Sciences indicates that the water of the Ili River basin is being exploited at a rapid rate: 36.2% and 42.7% for China and Kazakhstan, respectively, with water use from the river predicted to grow substantially. This is compared to the world recognised safe extraction limit of 40%. China accounts for the highest proportion of water flowing from abroad into Kazakhstan, equal to about 18% of the country’s total water availability. The Ili River starts in China before flowing into Kazakhstan. Both countries are in competition over the river’s resources but China has a far larger share. Around 15.7bn m³ low within its borders per year, almost double that which flows through Kazakhstan (8.4bn m³). Hence, both countries have found it difficult to determine how to fairly divide the river between them. China believes it is entitled to use the river water that flows within its borders. It believes this is fair, especially as Kazakhstan largely exploited the river in the late 1960s with the creation of the Kapchagay Reservoir. Like many industrialising countries, agriculture is the sector that uses most water in Kazakhstan, accounting for 89% of total water withdrawal. In western and central Europe it accounts for 58%. Kazakhstan has ambitious goals to increase its share of energy generated from renewable sources; from 3% of total energy generation by 2020 to 30% by 2030. It plans to achieve this using hydropower and has planned to build several hydro projects in the next three years. They will be developed in Zhambyl, a region in northern Kazakhstan and the location of Balkhash Lake, one of the largest lakes in Asia. Developing hydropower poses additional challenges to managing the limited water supply in the region. In this context, Kazakhstan’s politicians have proactively tackled water scarcity by shifting their policy focus. By working closely with international donors, Kazakhstan is attempting to reform its water management, emphasising links between large water users in different sectors. It has adopted a “Green Economy” agenda, a new economic policy that is based on the sustainable use of natural resources. By applying policy tools such as “food-energy-climate nexus analysis“, a mainstream tool developed in western Europe, Kazakhstan is trying to restructure its water management schemes. The focus appears to be on raising water efficiency. Kazakhstan Foreign Policy Concept (2014) states that the government will: “Continue to improve the legal framework with neighbouring countries on the usage and protection of transboundary water resources to enhance water security… [but] its policy focus is water saving”. At parliamentary hearings, officials have stated that “drinking water is one of the main questions at the state level”. Apart from providing substantial state subsidies to water and agriculture sectors, Kazakhstan’s Green Economy programme has been facilitated by technical support from international donors, including the Asian Development Bank, World Bank, United Nations (UN) organisations such as UNEP, UNECE, and the Regional Environment Centre for Central Asia. From 2010 to 2013 UNEP provided approximately US$1.5 billion to Kazakhstan for water management. The European Union (EU) has also been working with Kazakhstan by sharing its experience and policies. It is hoped that advanced extraction technology will be introduced to facilitate efficient use of water resources. With the new water management programme, Kazakhstan has shown enhanced autonomy in securing water availability. According to the Kazakhstan government’s estimation, it can save as much as 9.1bn m³ per year by 2030 from agriculture, industry, and municipal water use. This significant step will make the country less dependent on water from its neighbours, including China, Russia, Uzbekistan, and Kyrgyzstan. With its new policy tools, Kazakhstan can reduce its overseas water demand by 4.5bn m³ per year by 2030. Another incentive behind the push for water autonomy may be to reduce political tensions with China. Since Kazakhstan hopes to benefit from China’s Belt and Road (BRI) strategy, it has shown a commitment to maintaining a strategic partnership with China. For a country that is highly reliant on exports, such as oil and natural gas, Kazakhstan wants to guarantee continued exports as well as expand its transport networks to Europe and other central Asian countries. 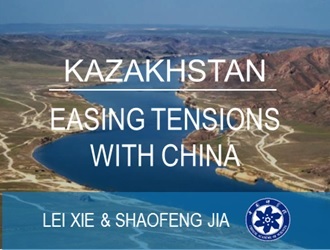 Kazakhstan and China’s water sharing experience shows how countries can adopt different approaches when faced with water scarcity. Unlike in western Europe, where countries reached formal river-basin management agreements after decades of negotiation, such as in the case of the Rhine River, industrialising countries have adopted a different path. Kazakhstan’s experience also shows that much can be achieved by adopting technological measures and policy improvements. 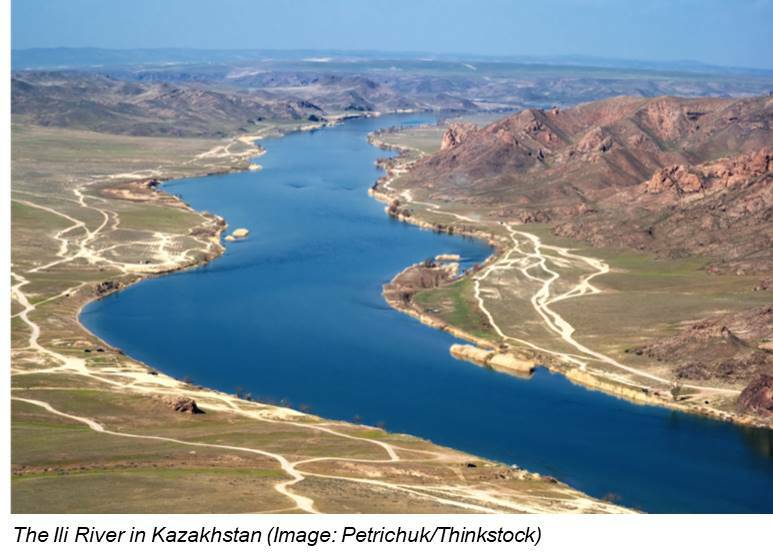 Nevertheless, the governance of transboundary rivers Ili and Irtysh calls for better collaboration between China and Kazakhstan over issues such as the protection of the Balkash Lake. 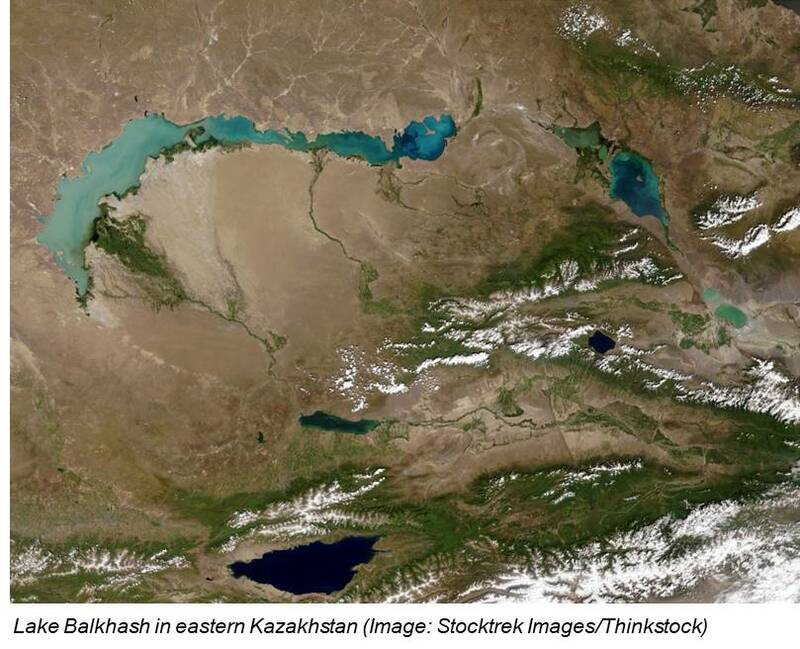 There are concerns about the diminishing size of Lake Balkhash and desertification. The lake is a key source of drinking and irrigation water as well as an important fish habitat and ecosystem that relies on the Ili’s waters. Another related issue is how to best to control environmental risks arising from the BRI, which aims to link Europe and Asia by constructing inter-state railways and other infrastructure and trade networks. China and central Asian countries now face the difficult task of reducing the negative ecological effects that such large-scale projects may bring. Professor Jia Shaofeng is the Deputy Director of the Center for Water Resources Research of the Chinese Academy of Sciences and the Vice Chair of the Special Committee for Water Resources of China Hydraulic Engineering Society. He also acts as an editorial board member of several academic journals including Water International, Geographic Research, Geographic Progress, and Journal of Economics of Water Resources. His main research interests are water resources management, integrated basin management and regional sustainable development. He has been involved in more than 40 scientific research projects and acted as the leader of several key projects at national level including National Key Scientific and Technological Project and National Natural Science Foundation Project. He has published more than 100 peer-reviewed papers and also authored 5 books.